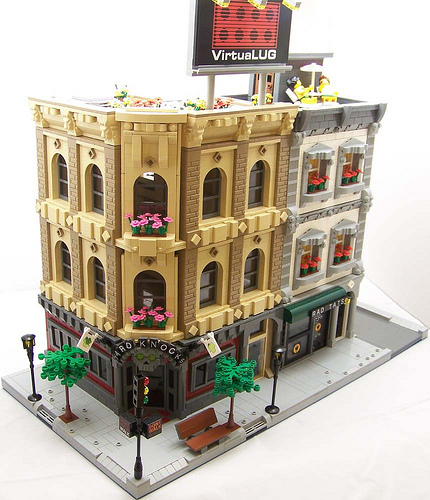 Hans Dendauw (Tigmon74) built this excellent pair of buildings for a VirtuaLUG collaboration at Bricks by the Bay 2012. 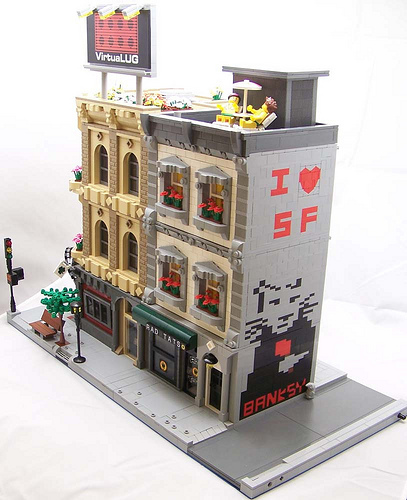 Replicating graffiti in LEGO is tough enough, but Hans has LEGO-ized one of the most recognizable designs by one of the most recognized graffiti artists on the planet. The Banksy wall certainly caught my eye, but Hans’s corner building is the real artistic triumph. Those sculpted brick bricks looks great. Nice tonal shift from the tan.